These books are fun, light, easy reads, intended for children who are growing out of picture books but not yet ready to tackle full-length novels. Coming in at around 60 pages they can easily be read in a session or two. This story revolves around the beginning of the friendship of Barnes and the Brains. Giles Barnes has just moved and he finds the house, old, musty and creepy. On his second day in the new home, he notices two kids across the street staring at his house with some sort of electronic instrument. When he goes to meet them they say they are listening for ghosts and his house is haunted. Giles soon realizes this is the truth and his house if full of Ghost birds. That is when the fun really begins. These stories seem to revolve around themes of friendship, self understanding and self worth, all wrapped up in fun and mysteries. Kenneth Oppel has created a great series with something to teach us all. The six books currently planned in this series were originally published by Scholastic between 1994 and 2004. Now they are being reissued by Harper Collins, in new editions with new cover art. Now to be honest, I prefer the original Scholastic covers, but that is just a matter of personal taste. Yet we can only hope that more books will soon come out in this grand series. Alexander Gordon Smith is a UK author who seems to be coming into his own. His first major book to his North American markets was Lockdown, Escape from Furnace book 1. It has been nominated for the American Library Association Quick Picks for Young Adults, with good reason and this sequel due out in North America later this year should also garner much praise. But for those who have read Lockdown and cannot wait until October for the US release, there is another alternative. The series is already on book 3 in the UK. Like book 1, this story takes place in Furnace Penitentiary, a super max prison for young offenders built into the earth. This story continues immediately after the first story. Alex Sawyer has just attempted to escape from the prison no one has escaped from. Along with a few friends he has managed to get out of the prison and into an underground river. Soon he is in a maze of tunnels, vaults and caves under the prison. They say that hell is below heaven and that furnace is below hell; Alex is about to find out what is below furnace. 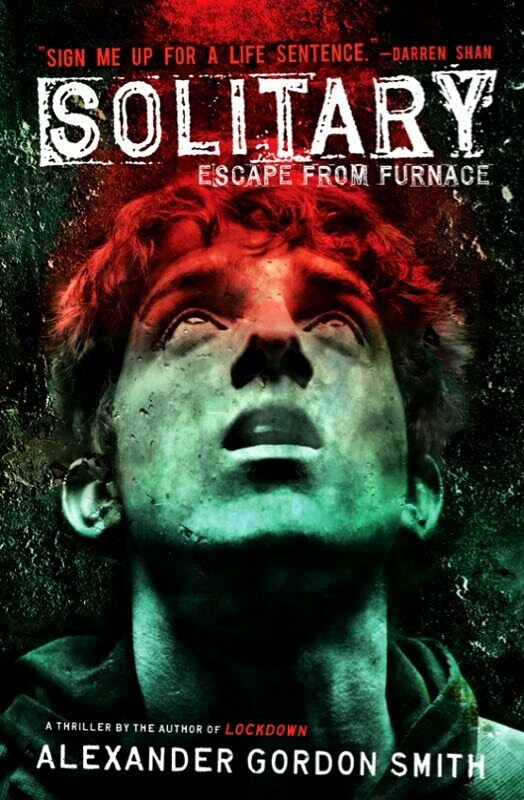 As the title indicates, Alex ends up in solitary confinement. There he must battle not only his own personal demons but also he encounters some created by the prison and the staff as they have experimented on the young inmates in their charge. This book is kind of a cross between Escape from Alcatraz, and The Island of Dr. Moreau but with a sadistic Nazi Concentration camp-like experiments or somewhat like the Saw movies. The book is a compulsive read; you will discover that you cannot put it down. What does hold you back is knowing that it is only book 2 in a 5 part series and that 2 have not even been published yet. The book is dark and as hideous as the experiments depicted. Our main character has fleeting thoughts of suicide and struggles to maintain not only hope, but the ability to keep trying and striving to find a way of escape. The book begins with Alex telling us "I have a confession. I'm not a good person. ... I stole from the people I loved, and took the things that meant the most to them. ... So don't go fooling yourself that I'm an innocent victim, someone who didn't deserve to be locked up inside the hell on earth known as Furnace Penitentiary." His time in isolation forces him to honestly evaluate himself and his worth. And he finds himself wanting. I am not sure I even want to imagine what being locked in a hole carved in rock would be like, yet Gordon Alexander Smith seems to not only place a character there, but enters his mind and that confined space, and gives us an incredible experience of it. In this book we learn more about Furnace and what is really happening there, but we are also left with more questions - hopefully some of which will be answered in book 3, Death Sentence. As stated at the beginning, this book is currently only available in North America by overseas shipping. With how popular the first book is becoming it is surprising that the publisher is not pushing up the US releases to get caught up to the UK releases. This book was a great read, but I would not recommend it for all readers; it is very dark and in some places gruesome, but never to a point that it does not fit the story. I read it twice late at night, and though I do not often remember my dreams, both evenings I dreamed of Alex and his struggles. It is a story well told, and told well in the details. It leaves you cheering for the underdog even though he recognises he is not innocent, not good and has failed everyone who has ever known him. It is a good instalment in what is shaping up to be a great series. This is one of the first three books released in a new series by Kenneth Oppel. First published in 1994 by Scholastic, now reprinted by Harper Collins, the first three books were released in February 2010, with three more slated for release in May. Kenneth Oppel on his blog talks about this series being written to be a resource between picture books and full novels for younger readers. It seems like it will do a good job and fill that niche. Tina and Kevin Quark are child geniuses, and this year for the science fair Tina has created a fully functioning, learning Robot, the Tinatron 1000. But her parents will not let her keep it in the house. They persuade Giles Barnes' parents to allow it to stay with them, in part because Mrs. Barnes is a university professor and she can have high-end mathematical conversations with the Robot. But while Mrs. Barnes is trying to solve a difficult math solution, the Robot shorts out and starts to make mistakes. Soon it is missing and Giles and the Quarks are on the hunt for a lost and broken Robot. It is a great fun read, for children of all ages. This is the last of Father Jacques Philippe's books for me to read, that is current available in English. I truly love his spiritual writings and they have eclipsed Thomas Merton and Henri Nouwen in my favourite spiritual writers' category. If he had a few more available in English he might even surpass C.S. Lewis. His works are a short treatise on different aspects of the spiritual life. This book focuses on learning to listen to the Holy Spirit's leadings, to learn to follow the Spirit's leadings ever more closely. I am going to include the table of contents to show you the depth of this subject that is covered in under 100 pages. 1. Progressively Acquire a "Spiritual Sense"
Walter Wick's photography and illustrations in the I Spy and Can You See What I See books are amazing. This is a great light reader for young children. This book is intended to be a little spooky, a little creepy and yet still be a learning tool. It does that very well. It is fun to read and work through. This is the third translation of this book I have read. It has a greater power and strength than the SinagTala translation. And it seems to have a slightly more direct approach than the translation by Pauline Books & Media. Reading it this time through in this new translation, I am sure I have discovered things and found themes I did not in my previous readings. I have attempted to read the original French version, and though I enjoy it as an exercise, with not having used my French in almost 25 years, I miss much of the meaning in the text. As such I am reliant upon translators. Helena Scott did this new translation for Scepter and it is an excellent translation. At some point i would like to do a side by side comparison between the Scepter and Pauline version. I enjoy both and believe that both versions will end up in my spiritual reading from time to time. As can be seen for those few select quotes there is a lot of teaching packed into under 100 pages before the appendices. I find that Father Jacques Philippe writings are like a balm, they are soothing to the spirit and promoting healthy spiritual growth. He gives us the tools to become better at Christian. His extensive experience as a director at retreats has shaped his writings and crafted them to give the most support for the ordinary Christian trying to live life to the full. Rev. Jacques Philippe, ordained in 1985, he is a priest of the Community of the beatitudes. To be honest, this is the only book so far in this series I have not really enjoyed. Maybe it is a little too dark, or maybe it was just the story, but either way, of the four books in this series, this is the only one I am not likely to read again. Shade, our hero from the first two books, has now grown and become a father himself. After an earthquake, his son Griffin is drawn into an underground world through a fissure that has opened up. Shade realizes that the legends say, if a living being enters the underworld realm of the dead and does not escape quickly, its life will be lost. Shade is frantically searching for his son and soon realizes an old enemy is also in the underworld. Oppel again uses mythology and legends and weaves a story of bats around them. It does fit with the other books in the series, I just happened to not enjoy it as much. Rev. Jacques Philippe is a priest of the Community of the Beatitudes. He was ordained in 1985 and preaches retreats in France and around the world. He has written several books, most now available in English translations from Scepter Publishers. I was first introduced to Fr. Philippe's books about 4 years ago while on retreat. That first book of his I read, Time With God is available in a few different translations. I have now read them all. I find his writing sublime and soothing to the spirit. His words are often gentle and persuasive and yet always stir up a desire for spiritual growth and improvement. His books, though to some extent read like self-help books that are a dime a dozen in bookstores today, have a much greater depth and more lasting impact. This may be due in part to his years as a spiritual director, and his life and devotion to learning as a priest, but for the largest part from his examples it is obvious that he lives it. These truths have become evident to him and as such he reveals what God the father through the Holy Spirit has taught him. The other thing that attracts me to his writings is that he does not have an exclusively Roman Catholic focus; he knows his books can be of use to others, and because of his breadth of learning he draws upon many non-catholic examples, including Etty Hillesum and from Coptic or orthodox traditions. This book Called to Life is his latest to be made available in English. I just finished reading it while on retreat and found that it spoke to exactly where I am at. Rather than rave about how great his book is I will leave you with numerous quotes that impacted me upon reading the book this first time. His writings remind me of C.S. Lewis's spiritual works - they are short, concise and very penetrating. I can only hope that the sample of quotes above intrigues you enough to pick up this book and see where Fr. Philippe can take you on your spiritual journey. This is a book I have read a few times now. Each time, I find it stirs me greatly both in thought and the desire for action. I would say that its greatest strength is that if you read it with an open heart and mind, you cannot but help to be stirred by the writings of this simple man who became a great bishop. I find that as I read it I have an ever-increasing desire to have my actions live up to my theology; to see the example of Patrick and strive to live it. I love St. Patrick's Rune or Lorica - Breastplate prayer, though I prefer Madeleine L'Engles' version from her book A Swiftly Tilting Planet. I memorized it years ago and still pray it often, though not as often as I should. and the winds with their swiftness along their path. I have never memorized the longer version found in this book, but really should. This book always reminds me to strive - to strive to listen to God, to strive to follow God and to strive to learn to be better at being. The Trials of Saint Patrick. This is a wonderful collection of short stories by Holly Black. The stories span everything from faeries to a girl challenging the devil to an eating contest. Holly Black's diversity as an author, and her skill, is exceedingly pleasurable to encounter. One of her characters states: "It was readers that needed to be protected, he thought. Books were something that happened to readers. Readers were the victims of books." If that is truly the case, this is a great book by which to be victimized. Most of these stories were previously published, but there are two new stories specifically crafted for this collection. These stories have an extremely dark edge and yet a poetic and often amazing sense of what it is to be human, and an assessment of humanity. If readers can be victimized by books, then they will be by this one. It will be an addiction that they cannot put down and one that will leave them wanting another fix. Great reading all laid out for you. 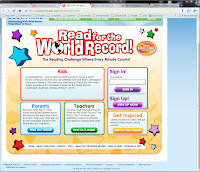 Scholastic Canada this summer is getting kids(of all ages) ready to READ FOR THE WORLD RECORD. This is a summer reading challenge where every minute counts, every minute that you read that is. 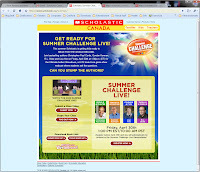 Young readers can sign up now and do practice runs. Looks like a great opportunity and challenge. The reading list for different ages look amazing. So check them out and join the challenge. The current world record was set in 2009 when 35,846,094 minutes were logged and the top school had 683,057 minutes. The website has lots of information on the past few years challenges. There are Reading lists for different age groups and for the older groups categories. (The first number is the total books in this category the second is how many I have read.) Some books appear in more than one category or a few even in more than one age group. But these look like awesome reading lists. I am going to try and double my numbers in each category by September. This will be my thirteenth and final article on tea, for the time being. In each of my previous and specific tea articles I rated my favorite teas based on their type, Red, White, Green, Black, Mate, Fruit Blends, Wellness Blends and herbal. This article will list my top ten favorite teas that I keep around all the time and why. It was really hard narrowing it down to a list of just 10. Below the name of the tea is a description from the company's website, or catalogue. White tea is a combination of White Tea, apple pieces, orange peel, ginger bits, cinnamon, lemongrass, coconut flakes, pistachio, red peppercorns, and corn flower blossoms. Superberry White Tea is a mixture of White Tea, apple pieces, schisandra berries, cranberries, goji berries, bilberries, and mallow flower blossoms. The combination of incredibly healthy White Tea with these true `super` berries makes a tea that everyone will want to have in their tea collection. This tea is high in antioxidants and helps strengthen the immune system. Indigenous Herbs from the Deserts of the World Indigenous, Naturally Caffeine-Free Herbs from Desert Regions including rooibos, white sage, orange bergamot, mint, and lemon grass. The heady aroma of white sage evokes images of the high desert. Full-bodied rooibos and cool mint are added for a satisfying and complex brew. In the Double Bergamot Earl Grey tea, the black tea base still serves as a solid foundation for this blend, but the oil of bergamot takes wing and soars to new unprecedented heights. The flavour is quite pronounced but not at all soapy or bitter which would happen with low grade oils. Is the flavour too strong? For a conservative drinker, maybe yes, but more adventurous types really seem to like it. Green Tea consists of organic sencha shokai, goji berries, schisandra berries, pomegranate flower blossoms and an all natural strawberry aroma. Get the benefits of Goji berries and Green Tea with this amazing blend. Monk's Blend is a dramatic combination of Ceylon Black Tea, vanilla and grenadine. This flavoured tea has a mysterious background, as it is believed to have been developed by monks to fulfill their life's desires and used by Franciscan monks to keep them awake during periods of meditation. While we may not know the true history of Monk's blend, we do know that this tea is delicious and much desired by vanilla lovers. As its name suggests this combination of Assam broken and Sumatra teas is the perfect accompaniment to a morning breakfast. This full bodied, strong and malty tea provides a colourful cup with a defined flavour perfect any time of day for tea lovers. Yerba Mate is the beverage of choice in South American countries due to its well-balanced flavour and health benefits. This drink is high in anti-oxidants, essential minerals and vitamins, making it an extremely nutritious choice for health-conscious consumers. It should be noted that Yerba Mate is the only herbal blend that is naturally caffeinated, which makes it great for those trying to make the switch from coffee to a healthy alternative since it provides energy without side effects such as jittering and muscle tension. This flavoured tea is the perfect blend of Green Sencha, fig pieces, aloe vera, sandalwood and orange flowers. The combination provides an earthy yet sweet taste and aroma that is perfect any time of day. This Wellness Blend is a combination of apple pieces, rose hip peel, strawberry and raspberry leaves, elderberries, bramble berries, sunflower petals, vitamin C from the acerola cherry, and safflower and cornflower petals. This tea is a must have for all tea drinkers as it helps prevent the common cold and is very rich in vitamin C. Keep this Wellness Blend as part of your collection and watch how the health benefits transform your life. A perfect combination of lapacho, honeybush, Yerba Mate, apple pieces, cinnamon bits, green Mate, chrysanthemum flowers, guarana powder, cola nut, pomegranate blossoms, marigold and aroma. This blend is considered a great stimulant without the side effects of coffee, which makes it wonderful for those trying to make the switch to tea. I hope you have enjoyed my series on tea; I have enjoyed your many comments on facebook and my blog, I look forward to trying some of the teas you have suggested. I really love Nick Bland's diversity as both an author and illustrator. This new book is no exception. It is the story of Nicholas Ickle, or at least the story Nicholas is trying to tell, but he keeps being interrupted by others, including an elephant, monsters, a pirate and a queen and even rats. 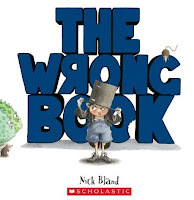 Bland's illustrations are wonderful and amusing; the book will be fun for your family time and time again.